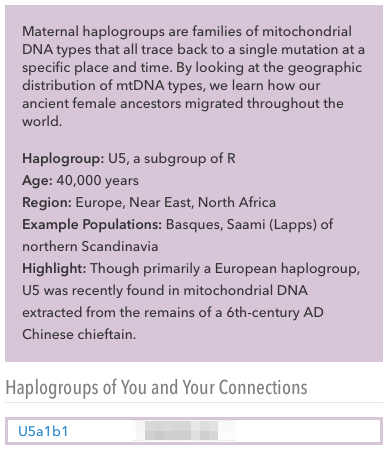 Well, it perhaps the most striking thing when I saw the report from 23andMe - my maternal origin is from Europe, which can be put in another way: "I am an European Decendant". How can this be possible? 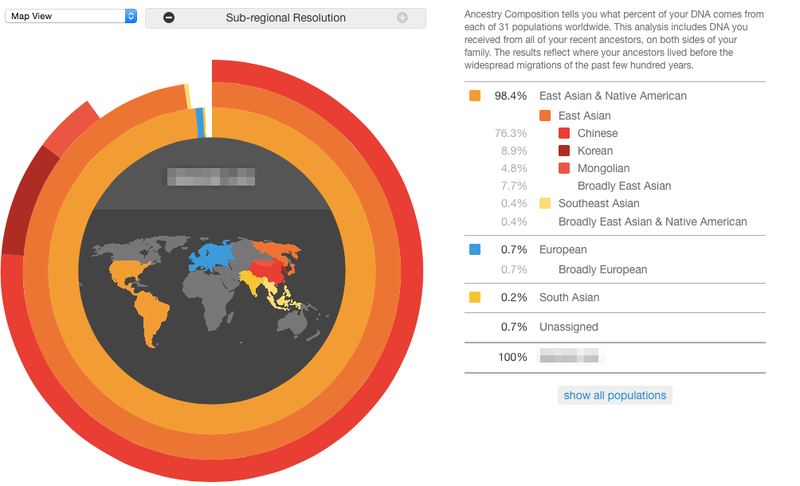 Anyone who know me personally might thought I have origin from Mongolia but seriously no one will think about Europe. Let me explain this story, in the genetic testing, polymorphism sites in Mitochondria DNA were also examined together with genomic DNA. As it well known, mitochondria can only be inherited from the mother, therefore by checking the mitochondria DNA, it is possible to trace back the maternal origin. 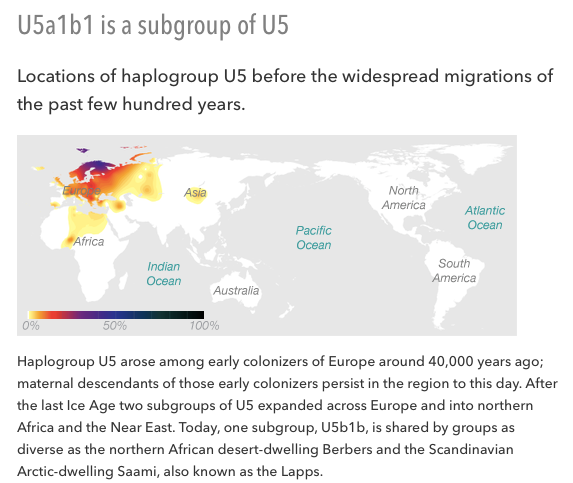 In my case I have a haplotype U5a1b1, which shared by more than 90% of Scandinavia Europeans. The most plausible explanation is that My maternal ancestor might come to Asia through the silk road around 1400 years ago in Tang Dynasty. What an amazing history.